Installing a steam bath in your home is an awesome bathroom fixture upgrade. This upgrade can fill your bathroom with soothing steam within a matter of seconds. That said, the steam bath equipment available today is so much more than just giving out heated water vapor. 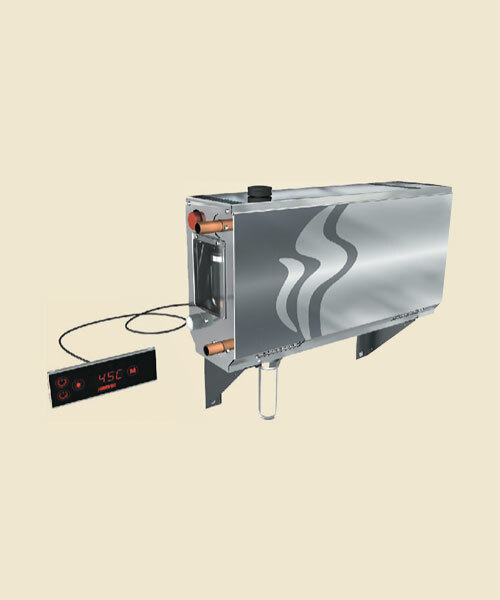 Nowadays, the entire setup comprises innovative steam bath accessories such as an operating console with multiple user settings, and remote temperature controls. Despite being a lux home upgrade, a steam bath installation is surprisingly affordable. That said, you will be able to rinse away toxins, open every pore of the skin, and release built-up tension, with a single touch of a button. Who doesn’t want that? Steam Ceiling – It is generally fabricated with ACP (aluminum composite panel) at the recommended height of the height of 7’. It should be either be a D-type ceiling or an angled/sloped ceiling which prevents condensation & dripping of droplets in the bathing area. Steam Door – Our standard framed steam door is specially designed & made of toughened glass along with powder-coated aluminum frame/sections. On specific requirement, we can provide customized framed / frameless steam door. We also specialize in designing & fabrication Of toughened glass steam enclosure / cubicle as per your customized requirement. Steam Light – For safety reasons steam light should be of low voltage & operate either on 12V or 24V. It can be either wall mounted or provided in the steam ceiling. Optional Items– Emergency Alarm system, Folding bench, Fragrances, Water softening system dedicated to steam generator, etc. Before going out to buy steam bath equipment, it is important that you take some time out in planning the space where you want to install the steam bath. First, the ceiling height must not be more than 7 feet. This will help prevent any temperature variations close to the floor. Likewise, the ceiling must have a slope of ¾-inch per foot to nullify any chances of condensation dripping on you while bathing. In addition, the steam bath space must be completely enclosed, together with a vapor-proof door to prevent the steam from leaving the space. To make sure that you have the best possible stream bath experience, you will also need to completely seal the steam room on the inside and provide a floor drain at the center of the room. Finally, you must get all the skylights and windows removed because they might hamper the efficient formation of steam. 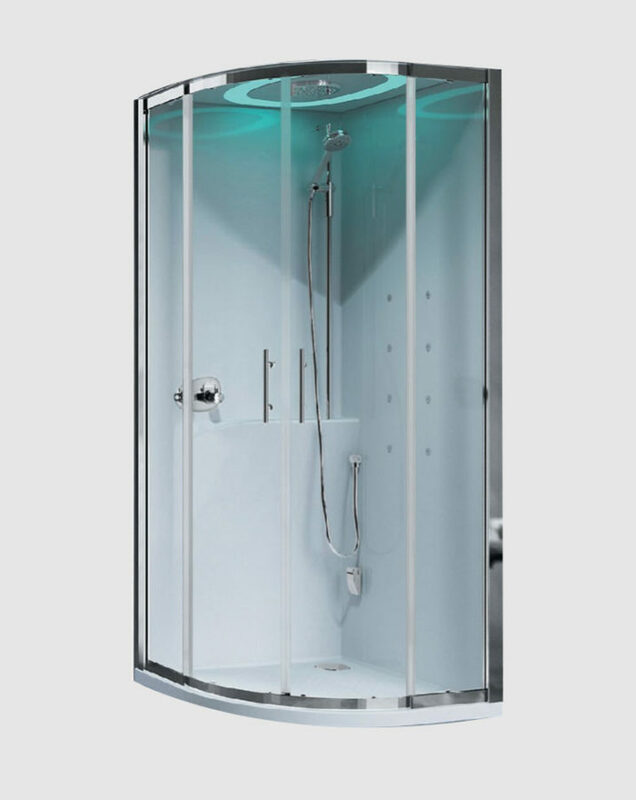 There are a number of non-porous materials that you can choose from, to coat the walls and ceiling of the steam bath. Among the popular choices, we have porcelain tiles, granite, marble, travertine and Ceramic Tiles. Furthermore, you will need to choose an adequately-sized steam generator that can produce steam as per the dimensions of your steam room. You will also need to hire a professional to help you with the installation of the surface material and make sure that they use appropriate adhesives and backing materials to securely attach the surface material. You will need to find a good spot for the installation of the steam generator. Most steam bath equipment manufacturers recommend that the generator must be placed within 10 feet of the steam head. 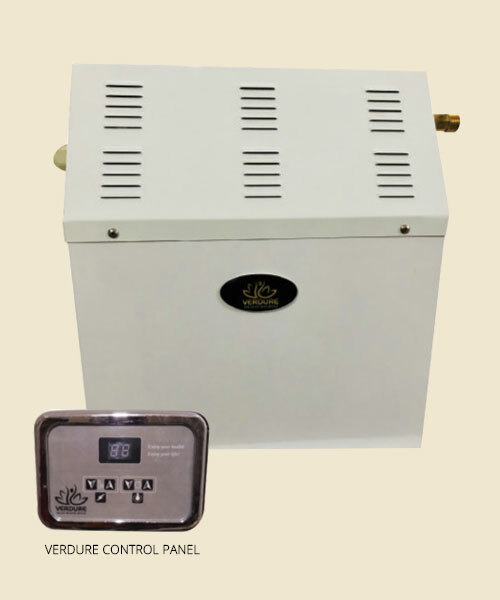 That said, you will also need to buy and install appropriate steam bath accessories such as dedicated 240V electrical circuits (or 208V for commercial use) and fresh water line plumbing. In general, the steam generator is placed inside the steam room under a bench, or into a nearby cabinet, basement or attic. The benefits of the steam bath are immense. Not only does your skin looks healthier and more supple after a steam session, but you feel rejuvenated and relaxed from the inside. Therefore, installing a steam bath machine could be a life-changing decision for you. To know more about steam bath equipment and accessories, you can visit our website or buy from our extensive range of products.